Recovery from an eating disorder does not always occur when you are with a therapist or in a treatment program. The strains and stresses from eating disorders affect everyone around the clock. It is those moments when you don’t have an eating disorder specialist or counselor in front of you that are some of the most critical. 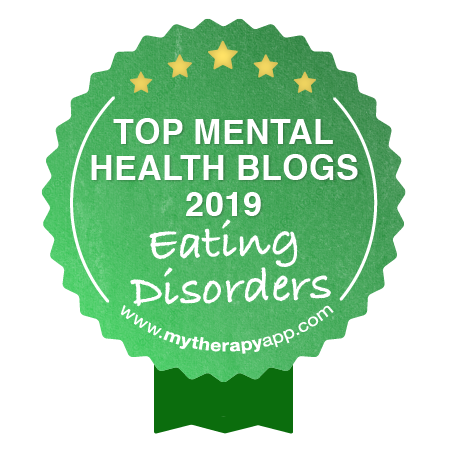 Eating Disorder Hope has compiled a resource for eating disorder tips and self-help: emotional management, mentoring resources, coping skills, and other recovery advice to help you through an eating disorder. Eating disorder recovery often transitions through different phases. This can include the transition through different levels of care and even the experience of relapse. Having the tools and resources you need for your journey can help you maintain your recovery from an eating disorder, even through transitional phases. Learn more about how to successful progress through eating disorder recovery. Discussing any sensitive situation with your parents is quite difficult. Attempting to speak with them about a sensitive topic such as an eating disorder that can kill you is even more difficult. However, do not forget that your parents love you, and they want you to be safe and healthy. Do not fall into the misguided belief that you can handle the binge eating, anorexia or bulimia on your own. You need help and two of the most important people that can help you get through the eating disorder disease are your parents. Few things are more painful than watching a friend suffer in silence with an eating disorder without acknowledging it. We’ve written a short help guide that gives some tips on how to speak to your friend about his or her eating disorder. Visit the Inaugural Online Conference Page to view the webinars! Garner et al. (1982). The Eating Attitudes Test: Psychometric features and clinical correlates. Psychological Medicine, 12, 871-878. Support groups can provide great to those in recovery from mental health issues, substance abuse, grief, and more. They can be especially helpful for those in recovery from an eating disorder during the holidays, when seasonal stressors might make past disordered thoughts and behaviors creep back up. Whether you find the holiday season torturous or joyful, you may experience higher than normal urges to use your eating disorder behaviors. Let’s explore some ways to cope with the unusual stresses of November and December. When going through a divorce, disordered eating provides a false sense of comfort that can be tempting for those working toward recovery or even those with years of recovery under their belt. For this reason, it is important to be aware of the warning signs of eating disorders during divorce and ways to mitigate triggers throughout the holiday season. We have many opportunities during the holidays to turn the world’s focus, even briefly, from buying, baking, and the bustle to eating disorders. Awareness fosters prevention, early intervention, and hopefully one day, eradication of this insidious illness. We can simultaneously tackle the big and little pictures of eating disorder awareness by what we do, say, and buy. Kwanzaa is a time of celebration, with an emphasis on community. However, it can be challenging to maintain recovery during the holiday season, which is full of potential triggers and temptations. Like many other holidays that take place during this time of year, the sixth night of Kwanzaa is centered on food and food-related festivities. Those in recovery from eating disorders can join in these events with an awareness of triggers and commitment to their existing treatment plans. Having a person who is familiar with your eating disorder struggles and you are able to connect with regularly can be a significant help through the holidays. There are a wide variety of people who may be helpful as a mentor, and if do not have someone who plays this role in your life there are several qualities to consider as you seek someone to have such a connection with. Watching your own child suffer is simply agonizing, but you don’t have to play worst-case scenario this Christmas. Yes, the holidays can be stressful to someone recovering from an eating disorder. There’s more food, friends, and family but less structure during the holidays. This doesn’t mean your child will relapse. In fact, the holidays may be a joyful time for your son or daughter. All the friends and family may serve as greater support. If you have the responsibility to plan a holiday event but have the greater responsibility to maintain your recovery, keep it simple. Plan a simple event while simply following your recovery guidelines. And remember recovery is far more important than even the most important holiday event. The holidays are probably not the time someone wants to intensify treatment for an eating disorder – but it’s when some people should. The stretch from Halloween to New Year’s Day is challenging for many with or recovering from an eating disorder. The season hails hectic shopping, holiday travel, busy social schedules, and family functions colored by family dynamics – and it’s all laced with holiday food and goodies. Job loss and unemployment is one of the most stressful things you can experience at any time of the year, but it’s especially troubling during the holidays. If you or a family member loses a job around this time, you need to weather the worries so stress doesn’t compromise your recovery. Unfortunately, due to the unexpected nature of life we are not taught what the appropriate ways to alleviate unexpected high levels of stress, sadness, and anger are; therefore, eating disorders are frequently developed and used as maladaptive coping skills to deal with unwanted and uncomfortable emotions such as grief over the holidays. Those struggling with an eating disorder face further obstacles and challenges with festivities being based around food events. Being in treatment during the holidays can help provide structure, accountability, and support to stay the course of recovery. One of the most challenging aspects of the holidays includes the presence of lots of festive food. Patients diagnosed with eating disorders tend to feel overwhelmed and fearful of the highly calorically dense foods that are common at parties and holiday gatherings. They also find it difficult eating around other people which often leads to depression. Ladies and gentlemen, put on your seat belt and cling to your pocketbook, we’re heading straight for Thanksgiving and right into Christmas. The holiday traffic of families, friends, and other social duties is almost inevitable, but you can control finances to reduce stress and support your recovery. Holidays are a time for us to step back from the busyness and appreciate our lives free from an eating disorder. Holidays for many of us are a time of celebration, loved ones and joy. For an individual struggling with an eating disorder this season may actually be a time of intense anxiety, as well as struggles with healthy and intentional eating. The holidays are more overwhelming and anxiety-provoking than blissful, and for those who have been in recovery from any type of mental health or substance abuse issue, all the stress can be a recipe for relapse. If you have suffered with one disorder, you know that sustaining recovery can be a challenge in these fraught situations. You can still have a joyful and happy holiday even if you are fighting with an eating disorder. The time spent around friends and family can give you the support you need to begin healing from the ED. Know that you are worth a life free from eating disorders. Gratitude and thankfulness play important roles in an eating disorder recovery. Showing gratitude help alleviate the numbness that comes with the eating disorder struggle. it is important to concentrate on what you do have and not on what you do not have. Being gracious and showing gratitude helps to take the focus off you and onto someone else or something else. This helps the eating disorder sufferer to be more positive which can be influential in changing the eating disordered life. The celebratory drop of the New Year’s Eve ball marks the end of a year and the beginning of new experiences and opportunities. For many individuals January 1st serves as an opportunity to establish resolutions and various ways of improving one’s life. While such intentions may appear innocuous to some, for individuals struggling with an eating disorder this seemingly simple tradition can transform into an overwhelming, competition for success, quantified by numbers on a scale. The after-holiday onslaught of advertisements popularizing physical improvements and externally-related goals only exacerbates the challenge of establishing resolutions that focus on something other than physical appearance. Coping Tips for Getting Through the Holidays – For many people around the country, November 22, 2012 signaled the beginning of the holiday season. However, Thanksgiving only marks the start of the onslaught of holiday celebrations. Eating Disorder Challenges During the Holidays – In the US, up to 24 million people of all ages and genders suffer from anorexia, bulimia or binge eating disorder. For those who struggle with an eating disorder, or strive to recover from one, the holidays can be a challenging time. The celebrations really start on October 31 with Halloween and basically draw to an end the beginning of January with the ringing in of a new year. Although holidays conjure up mostly pleasant memories of family, friends, gift giving, and get-togethers around the dinner table, for some of us the holiday season is anything but that. For those struggling with the tyranny of an eating disorder these times are, to say the least, challenging. All your life you’ve heard the expression “It’s never too late.” You need to believe that now. The New Year brings about a time of reflection and also goal setting. Achieving a life of health and balance is within your reach. For those struggling with disordered eating, now is the time to begin your journey. If you or a loved one is struggling with an eating disorder or in recovery, a meaningful twist on our Renfrew tradition is giving similar metaphorical gifts to yourself or anyone you are supporting on each night of Hanukkah. This activity is beneficial in two different ways. The holiday season is now in full swing which means many gatherings involving substantial meals. Cue the ham and turkey, green bean casserole, mashed potatoes, and rolls! Individuals with eating disorders may not know how to cope during this time. There’s a lot of pressure and stress from family members, emotions and unhealthy food options. One aspect that will help in healthy holiday habits is mindfulness. Making the decision to save your life and seek treatment for an eating disorder is only the first step. There are many more hurdles to overcome. One of the most daunting challenges is finding a way to pay for treatment. There are several financial options available, but you have to dig deep to uncover the resources available. The journey to an eating disorder recovery is long road to travel. It takes a lifelong commitment and dedication to the process. There are several key stages that are important in the recovery process, but over time, these phases will vary depending on where you are in your journey. How to re-establish your identity and personality while in eating disorder recovery to find the “true you” in this article. Recovery from an eating disorder involves far more than establishing a healthy relationship with food. It requires breaking old habits and learning new skills to cope with the ups and downs of life. It takes strength, dedication and patience to face the inevitable challenges. Additionally, it takes a real commitment to rediscovering oneself. Top 10 Tips for Eating Disorder Recovery – Discover these top ten tips for promoting a successful recovery. Utilizing 12 Step Principles in the Treatment of Eating Disorders – If you have been researching various treatment methods for eating disorders and/or addiction, you may have come across the 12-step program. The principles outlined in this program can be profoundly helpful in the recovery process for eating disorders, especially when combined with other forms of therapy. Examples of some of the values included in this program are honesty, hope, and reconnecting to self and others. Read this article to learn more about how the guiding principles in the 12-step recovery can be a powerful tool towards healing and recovery. Setting Reasonable Goals for Eating Disorder Recovery – Learn about ways to set practical and achievable goals for yourself to help in attaining long-term success for your recovery. Effective Coping Skills in the Treatment of Eating Disorders – Healthy and positive coping skills are vital in establishing freedom from an eating disorder. Discover some great tips about coping skills that can be helpful for anyone by reading this article. Self-Soothing Skills: An Essential Tool of Eating Disorder Treatment and Recovery – One of the most significant tools for overcoming eating disorders is learning how to self-soothe. Learn more about the importance of this skill and helpful tips for application by reading this article. Social Support: The Cradle for Growth and Recovery with Eating Disorders – Giving and receiving social support can offer a strong foundation to recovery from an eating disorder. Read more about this along with helpful suggestions in this article. The First Step to Self-Care – Establishing self-care begins with learning about who you are and where you want to be. Follow the exercise contained in this article to begin your self-care journey. Trauma, Grief and Eating Disorders – People deal with grief and trauma differently, but often, people will use food to help comfort their pain or exert some sort of control over raging feelings. By not employing proven coping skills and using food as a distraction, it can lead to an eating disorder. 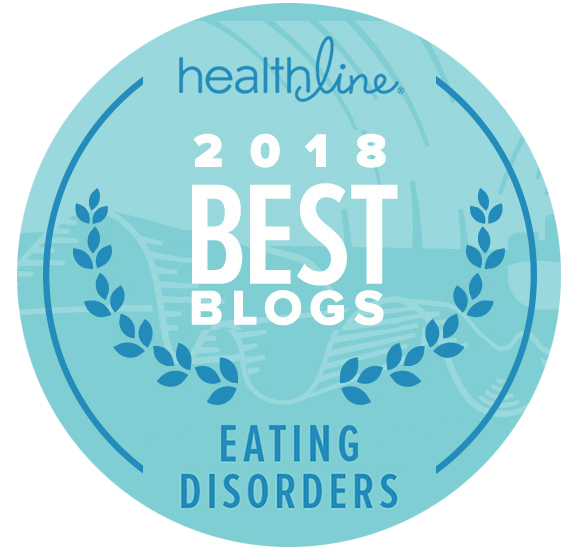 Eating Disorders: Accepting the Pain of the Past – Learn about the importance of discovering, accepting, and healing from the underlying pain associated with eating disorders. Eating Disorder Recovery and Overcoming Negative Thoughts – Changing your thought process is instrumental to recovering from an eating disorder. Learn about the common thinking errors observed in eating disordered behaviors. Artistic Expression & Eating Disorder Recovery – Learn how deep feelings can be expressed through various artistic forms, such as dance, music, and film. Eating Disorder Recovery Tools – Feelings – Acknowledging and understanding our emotions and feelings is crucial to an overall well-being. Read this article to learn more about this important subject. The Importance of Emotional Expression – Expressing emotions constructively and through healthy avenues is necessary and important in recovery. Learn more about this topic in this helpful article. Feelings are Important – Choosing to ignore or push aside deep feelings and emotions can be detrimental to overall health and well-being. Learn about the power of acknowledging and appreciating feelings in this encouraging article. Strength Lies in Talking About it – Eating Disorders are complex diseases rooted in secrecy. Learning to reach out, ask for support, and talk about struggles is fundamental is drawing strength for recovery. Learn more by reading this article. Eating Disorder Mindset – Eating Disorders are usually driven by an unhealthy internal dialogue. Thought restructuring skills are essential to recovery. Discover more about this by reading these articles. Women, the Jewish Community and Eating Disorders – Food is a prevalent part of the Jewish community. The Jewish culture celebrates many holidays that involve food preparation and others involve fasting. Even the weekly planning for Shabbat focuses on three festive meals. So much focus on food can begin to affect a young impressionable Jewish woman. The 12 Step Program of Recovery and Eating Disorders – Originally developed over 65 years ago by a small group of recovering alcoholics, the twelve-step program has become an important part of the recovery process and the foundation for many recovery programs. Though the twelve-step program was proposed by Alcoholics Anonymous as an approach to recovery from Alcoholism, the methods have been adapted to a process that addresses a wide-range of substance-abuse and dependency issues. 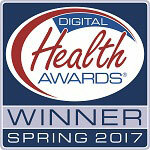 Health As a Recovery Tool – Eating disorders result in devastating health and medical consequences. Read these articles to learn more about this important topic. Eating Disorders and Mindfulness – The practice of mindfulness is especially important to those struggling with eating disorders. Read these articles to learn more about this. Eating Disorder Relapse – In eating disorder recovery, relapse prevention is critical. Read this valuable article to learn more about how to establish relapse prevention in your own journey. The Object of Comfort – Often times, eating disorders develop as a means of coping through a traumatic or distressing period in a man or woman’s life. As eating disorders offer a false sense of control and security, it can be all the more difficult to let go of these damaging behaviors. Read this inspiring article to learn more about the healing process through recovery. Walking in Recovery – Recovery is a long journey with many twists and turns, up and downs. Learn about the process of eating disorder recovery and the importance of humility. Eating Disorder Coaching: A Secret Weapon for Sustaining Recovery During College. Recovery coaching is a little known resource that can be a powerful tool to help those in recovery as they begin classes in the fall. Dance/Movement Therapy in the Treatment of Eating Disorders: Re-claiming Authentic Connection with the Self – Dance and Movement Therapy is a process to help those with an eating disorder reclaim their bodies. National Eating Disorders Awareness Week (NEDAW) has been in existence almost 30 years; and education and outreach activities have been common on college campuses since NEDAW’s inception. The goals of NEDAW- education, early intervention, and starting treatment, are especially relevant for college students who are at high risk to develop an eating disorder, or to have an existing one worsen. When asked to write an article on this topic for you, my first instinct was to simply write, “Bring your child home from college and don’t let them go back until they are well.” But that would be an awfully short article, without much direction or insight! My hope is that this article gives you enough information so that you can begin forming an educated decision about whether or not your child is healthy enough to be away at college. It’s not surprising that college athletes experience eating disorders – not only are they at an age when eating disorders generally occur, but athletes tend to focus on physical and body image. That’s why coaches have a responsibility to be aware of the symptoms of eating disorders and how they can negatively impact an athlete’s performance. With all of the opportunities offered it is easy to become overwhelmed by the college lifestyle. Events occur often and many can develop the fear of missing out along with the dread of not being involved enough.The class load, not even to mention the homework, can often be difficult to keep up with. Also, it is easy to become submerged underneath the new environment filled with a variety of people. It is during this time of unsteadiness that finding a stabilizing force is necessary. Sending a child off to college or other independent venture is one of the challenges experienced during the midlife phase of life. For some parents, this transition brings on an internal crisis.A new or reemerging eating disorder, depression, loss of purpose and fears and overwhelming anxieties are common symptoms. Many moms are often embarrassed that they are struggling and keep it under wraps for too long hoping the problems of low mood and sadness would subside. or the countless students attending colleges and universities across the nation, there is a need for resources for the many issues that may arise during this exciting and challenging time period. The time spent in college is considered to be a high risk period for the development of eating disorders for several reasons. What do you do on a daily basis to nurture and care for yourself? Do you journal? Take a walk through nature? Enjoy a bubble bath? Maintaining regular time for self-care is vital to supporting your ongoing recovery journey. Research some activities that you could possibly do while at school to help you healthily cope with external stressors. I joined the Hospital Medicine staff at Denver Health Medical Center in 2007 and had worked here for a year when I got an email from Dr. Philip Mehler asking if anyone wanted to help him open up the nation’s only medical stabilization program for patients with severe anorexia nervosa. Simply put, families equipped with the right tools, can be the best ally for recovery. Family members need to be educated on the nature of eating disorders and stop blaming themselves for the onset of the illness. Families need to understand that eating disorders are not about food but rather an expression of what is literally “eating them”. Each year, many families anticipate holidays filled with family, friends – and food. Unfortunately for people recovering from an eating disorder, the holidays can create increased anxiety as they contemplate celebratory parties and dinners that often center on festive dishes. When these thoughts and sensations occur you can end up feeling “stuck” in situations and feeling like you have no way out. Your brain starts responding to these anxiety producing thoughts and sends “alert” messages to your body that are translated into physically uncomfortable sensations and strong urges to use eating disorder behaviors. This holiday season can be a wonderful and exciting time but it can also bring with it many mixed emotions as we try to manage holiday stress, unrealistic expectations, and activities centered around a plethora of food choices. Here are some ways to nourish your self mind, body, and spirit as your prepare for your holidays, so you can create a more peaceful and joyful holiday season. The holidays can be a challenging time for people with eating disorders and many people in recovery find they dread the holidays. However, it is possible to create a new experience around old triggers; being prepared can help minimize these triggers and prevent lapses. It is very important to have a plan if you are going out of town. Start planning now to make sure you have the best plan possible to help you through the holidays. Relapse is not always something that can be prevented. There may be a time or period in your recovery process that you do experience relapse. Even in this scenario, it is important to know how to get back on track and to continue progressing forward with your healing. If you are in recovery from an eating disorder, you will quickly realize that there is no “break” from recovery. Staying in recovery from an eating disorder is a lifelong process, and your commitment to the journey is essential for sustaining the hard work that you have put into your treatment. Issues that have been carried within the person since childhood often come to the surface and are re-worked in college. Without the usual structures, the students are vulnerable to their own histories of anxiety, depression, fears of rejection and loneliness. For decades, eating disorders were viewed as everything from a silly game played by teen girls, to an attention-getting gimmick. Today, the mental health community knows that eating disorders are complex and dangerous diseases; what’s more, an eating disorder, not unlike in the case of drugs or alcohol, is an addiction. When I became aware of how important naturopathic medicine was for my whole body in recovery (including issues like digestive problems, depression, emotional traumas, and menstrual cycle abnormalities), I chose to make a career change so I could help people with naturopathic medicine as well.